When a man (Robert Benchley) has his fortune told at a party and then dreams the opposite will come true, his friend (David Hoffman) tries to soothe his nerves by telling three tales about the intersection of the supernatural with psychology: a plain and bitter woman (Betty Field) pursues a handsome student (Robert Cummings) during Mardi Gras while wearing a beautiful mask; a lawyer (Edward G. Robinson) is unduly influenced by a fortune teller (Thomas Mitchell) who predicts he will murder somebody; and a tightrope walker (Charles Boyer) is unnerved to meet the woman (Barbara Stanwyck) he saw during a dream as he was falling to the ground. 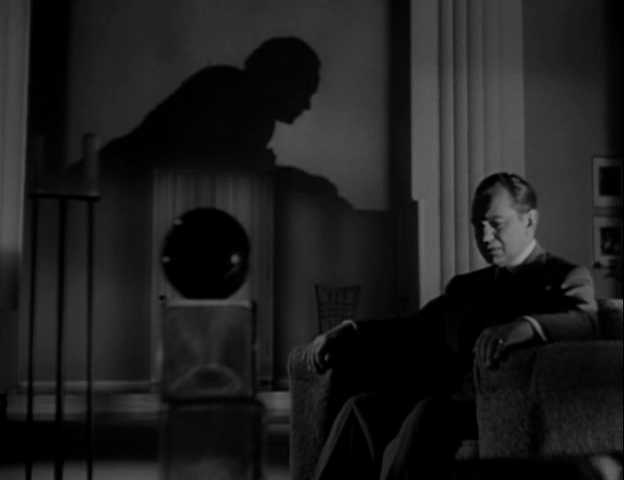 A year after making the omnibus film Tales of Manhattan (1942), director Julien Duvivier helmed this loosely-linked episodic tale about the impact of prescience, coincidence, and superstition on our lives. The framing story in which Benchley is counseled by a friend at a gentlemen’s club is pretty thin stuff, and merely an excuse to tell three atmospherically filmed but variably engaging stories. The first (taking place during Mardi Gras) is almost laughable in its narrative simplicity: a “plain” woman (clearly pretty underneath shadowy lighting and dour make-up) is made “beautiful” by recognizing her worth, as she falls in love and loses her selfish stance towards life. The second segment — based on Oscar Wilde’s short story “Lord Arthur Saville’s Crime” — is much more engaging, thanks to a provocative narrative (does being told one’s fortune compel one to carry it out?) 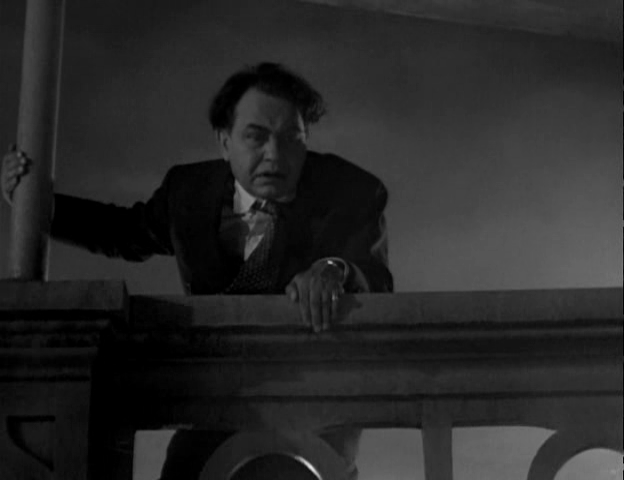 and Robinson’s typically-committed performance as a tortured man caught in the grips of “fate”. 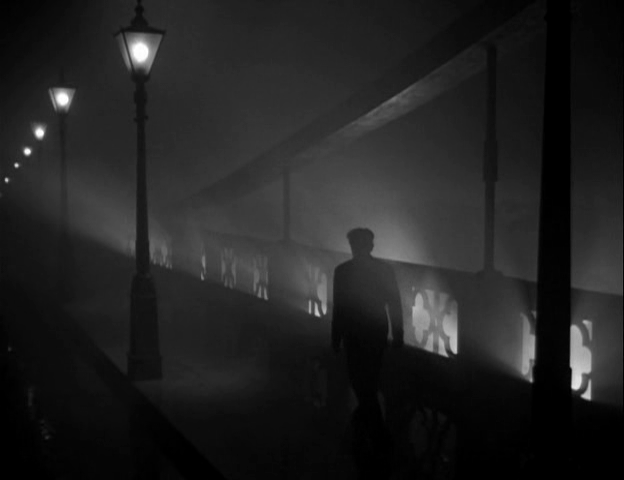 The final segment — in which Boyer’s “drunken tightrope walker” uses a dream as a legitimate way to connect with a beautiful woman (Stanwyck) he meets on-board a ship — is creatively filmed, but ultimately less satisfying. 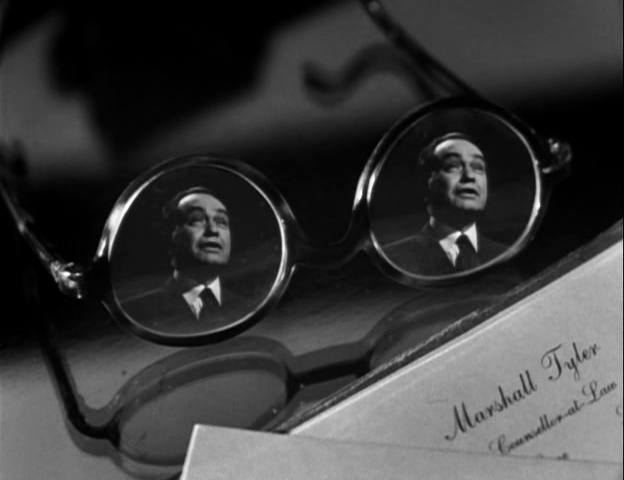 The primary reason to check this movie out is the stunning b&w cinematography by Stanley Cortez and Paul Ivano; just about every frame is a treat to look at. No, but it’s certainly worth a one-time look for the fine cinematography and the middle segment. First viewing – not must-see, however it is not a waste of time either, thanks to Duvivier’s typically stylish direction and (as noted) the creative and effective cinematography. Personally, I don’t find the stories themselves all that compelling (not even the second one – which, even on its own terms, is implausible and oddly manipulative). It’s not that they’re unwatchable but they are elevated considerably by way of Duvivier’s work and the solid acting by the fine cast. No performance is an outstanding job (due to what the actors are asked to play) but the cast members certainly show they’re reliable. 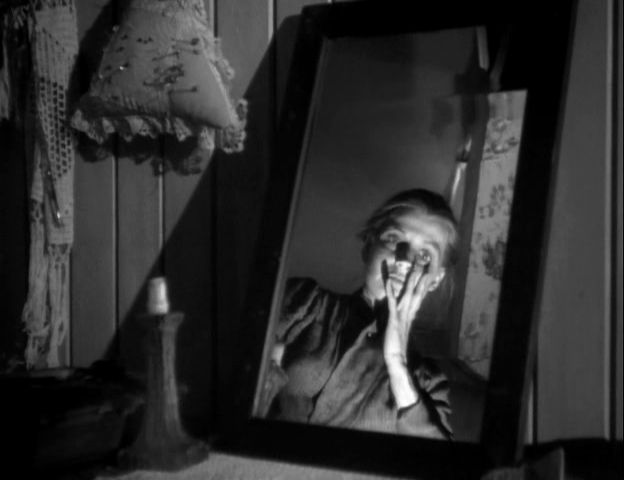 Duvivier’s name is not one that’s often bandied about by film fanatics but his work should be known by them. 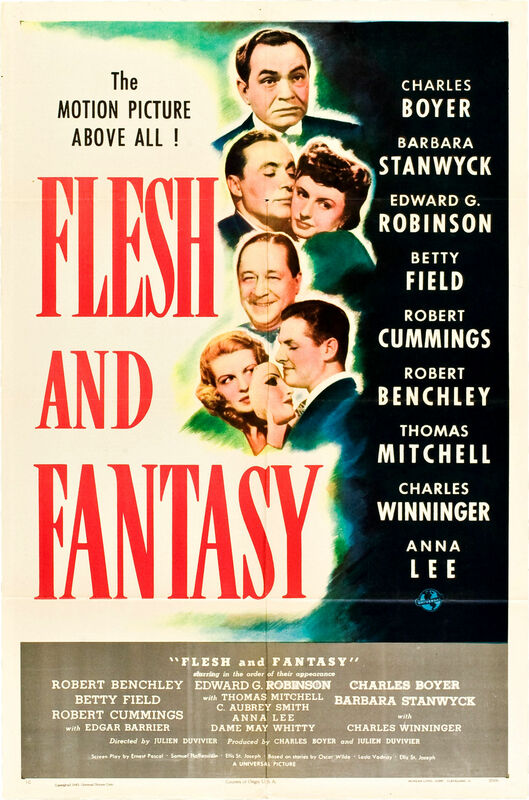 Five years after this film, he directed a superb adaptation (co-scripted by Jean Anouilh) of ‘Anna Karenina’ – which is definitely must-see viewing (as it also features remarkable performances by Vivien Leigh, Ralph Richardson and a memorable supporting cast).